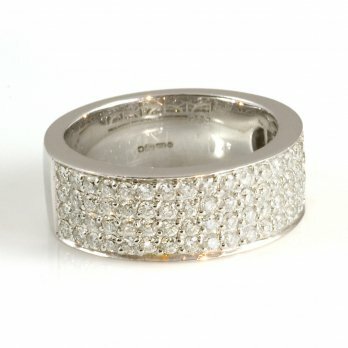 This 18ct white gold wide band is set with 4 rows of diamonds. Each row consists of 20 round brilliant cut diamonds claw set for security and twinkling in the light. The sparkle of this ring makes it a truly fantastic item of glamour.